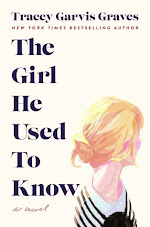 Goodreads says, "We’ve all been around a couple who can engulf the attention of an entire room merely by occupying it. Harry and Madeleine Winslow are that set; the natural ease between them is palpable and their chemistry is almost tangible. He is a recent National Book Award winner with a promising career ahead of him, and she is blessed with family money, but radiates beauty, elegance, and humility. Whether they are abroad in Italy after he receives the Rome Prize, in their ambrosial East Hampton home, or in gritty Manhattan, they are always surrounded by close friends and those who wish to penetrate their inner circle. During a summer spent at the beach, they meet 26 year-old Claire and, as the summer blazes on, she is slowly inducted into their world. Claire can’t help but fall in love with Harry and Maddy and at the end of the summer, it is no longer enough to just be one of their hangers-on. 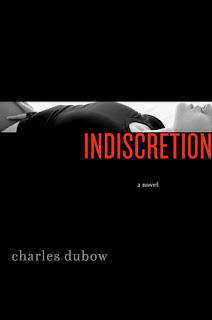 Told through the omniscient eyes of Maddy’s childhood friend Walter, Indiscretion is a juicy, page turning novel with writing that is sophisticated and lyrical. Deeply textured, full of light and darkness, and overwhelmingly sensual, this book will be the sexiest, most intimate story you read all year." Harry Winslow lives the perfect life. He has a beautiful wife, Maddy, an adorable son and a fantastic career as a successful author. To top it all off, he spends his summers at the Hamptons with his friends and family enjoying his charmed life. One day at the beach he meets a young girl named Claire who he ends up running into again at one of his parties, so finally, he and his wife, Maddy, take her under their wings as she is sort of down and out on her luck. Initially, they make Claire one of their many friends at the beach, but things take an awkward turn when Claire develops feelings for the larger-than-life author, Harry. Even though it's Labor Day weekend and the end of summer, Claire wants this summer to never end and can't say goodbye to Harry, especially since he is going to be living in Rome to write his next book. 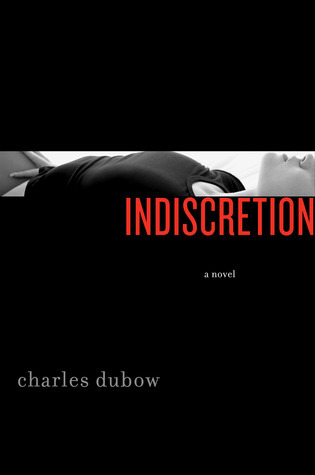 Indiscretion by Charles Dubow is a steamy read that explores serious issues about marriage, friendship, infidelity, and the choices we make in life. Harry and Maddy are such charismatic characters; it's no wonder Claire was drawn to them like a moth to the flame. Their lifestyle, their friends, the parties, the money...it's all very appealing and to someone like Claire who really hasn't found her way, it was like opening a a whole new world to her. This is all well and good until she gets too close for comfort. Indiscretion is told from Walter's (Maddy's childhood friend) point of view. This type of narrator reminded me a bit of The Great Gatsby as I wanted to know exactly what Maddy, Harry or Claire was thinking, but we only could see it through Walter's eyes. This made for an interesting read and definitely had me flipping pages. Indiscretion is VERY steamy. I don't often read romance novels or anything of the sort really, so this took me by surprise. But I will admit, all of the sensual details definitely added to the drama in Indiscretion. If this kind of thing bothers you, then I would avoid this novel, but don't get me wrong, the whole book isn't sexual, but I'm just warning that they are some graphic scenes. Part of what attracted me to this book is the setting. East Hampton during the summertime is my kind of read; plus, it follows the characters through the seasons and readers will find themselves in New York City and Rome. My favorite parts of Indiscretion are Dubow's descriptions of the Hamptons and the summer fun to be had there. In this freezing January weather, I really relished in those descriptions. Indiscretion put me through the ringer. It made me feel serious at times, had me blushing, feeling angry or sometimes sad. It really made me feel a ton of emotions and I think that Dubow truly illustrates how one small decision can have consequences that reverberate throughout not only your life, but the people that you love. My only issue with Indiscretion was the ending. I can't say anything else about it, because I would spoil the plot, but let's just say, it wasn't what I was hoping for. So, if you are looking for a juicy adult read that has serious undertones, is well written, and is thought provoking then get your hands on a copy of Indiscretion. I think it would be perfect to curl up with this winter or to bring with you to the beach this spring break or summer. Oooo steamy you say? I happen to be a big fan of steamy:) I'm a little concerned that the ending isn't what you wanted it to be, but the rest of it sounds really intriguing:) Love the stark simplicity of the cover too! I think you would definitely like it, Jenny! Thanks for visiting! The setting sounds lovely! That's great that the writing made you feel a lot of emotions too. Sounds like a great adult novel! It was definitely a captivating read and you are right- the setting was one of my favorite aspects of the book. 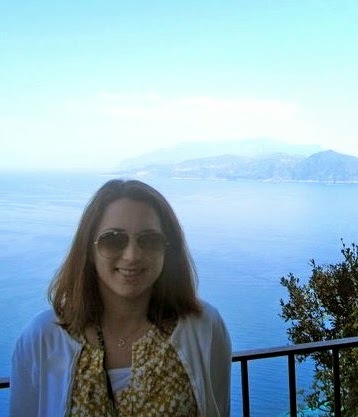 Thanks for visiting, Lea! I'm glad you agree with me regarding the ending, Lori! Thanks for sharing your thoughts on it…I completely agree with you about Claire going to Maddy's house! It was definitely a crazy moment. Thanks for visiting.